This is an original reference print from the Walt Disney Studios from the early 1990s. 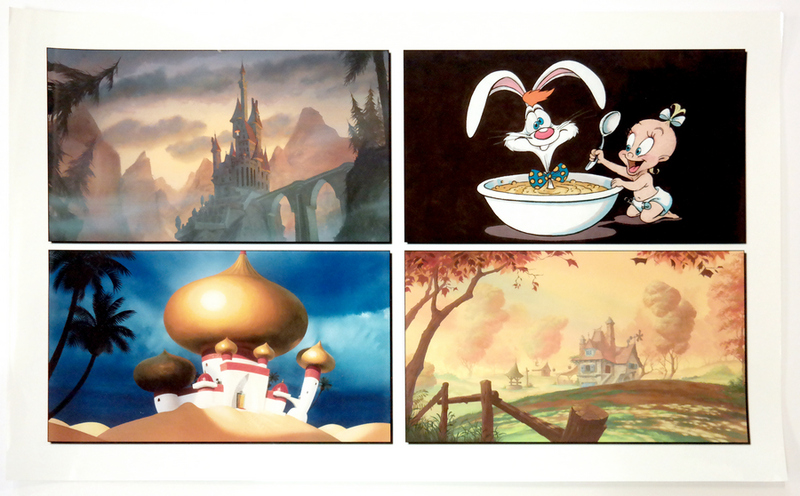 This gorgeous full color print features four different images of concept artwork depicting concepts for Aladdin, Beauty and the Beast, and Who Framed Roger Rabbit. This print was created at the studio and was used during production, likely to test the printer itself. 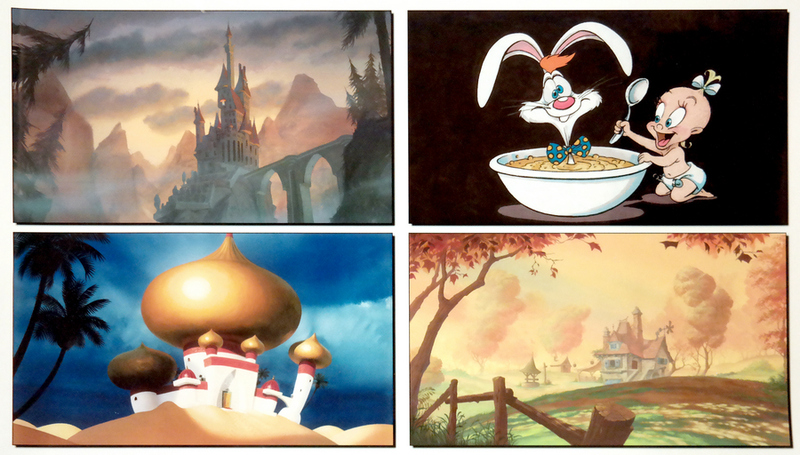 This was the early era of computer animation and this print was created by the studio's CAPS department where they would test the color correction and color matching of the computer animation compared to the hand animation, but would later move into the full colorization of the characters after they stopped using cels. The overall measurements of the pieces are about 14" x 22" and the images measure 12" x 20". This print is a high quality Iris Print on heavyweight paper that is in excellent condition.